Florida based artist Amanda Marie has had her fair share of hardships in life, including a near death accident and a sentimental disappointment when the father of her daughter left her for another woman. Through it all, the 31 year-old Master’s Degree student, has continued to nurture her passion for music. She says that the physical and emotional pain that she has endured has made her strong and full of love. 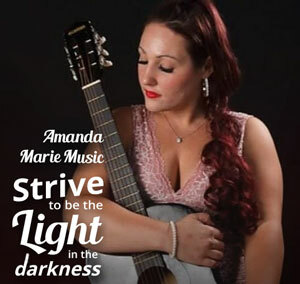 As a young performer Amanda has taken part in several contests and even won the chance to sing at the “Rock and Roll Hall of Fame” in Cleveland, Ohio. Currently Amanda Marie has been signed to LSE/Sony Distribution for her single “They Say Life” which is due to be officially released in January 2019. Amanda nods to country tradition, as she takes a lush organic pop production, and stuffs its bars with uplifting messages which build until she can release that big voice, throwing in just enough bounce across the record to keep things interesting. If you think Amanda Marie has fallen into an all too familiar formulaic trap designed for chart success, think again, as she possesses enough artistic sensibility to push above it. The single metaphorically encapsulates much of what Amanda has been through in life. She has acknowledged her struggles, asserted her authenticity and found strength in those moments. Now she sings that life can be beautiful, notwithstanding the hardships – “They say life isn’t easy. I say life is what you make it,” she declares. It has a fresh sound and promotes empowerment. Her phrasing on the chorus of “They Say Life”, is impeccable, revealing the care in her craft. The track puts Amanda right in her comfort zone, and I think she’s largely happy to stay there. Country-pop meditations on love, life and relationships suit her well, especially if they use gentle, emotional builds. Particularly as she is able make a very effective expression out of a simple mood. With her latest effort, Amanda reveals a sincerity and mature, time-tested point of view that even some of her peers can’t match. Sure, her smoothly resonant voice alone will probably move units, but it’s her heart that truly keep things interesting. Teasing out parts of her multi-faceted voice with an easy-going rhythm and tempo that feels so comfortable on the listener’s ear, Amanda slinks into a country-pop groove that sounds like a perfect vehicle for her voice. Music can send a message and be an outlet for people who are struggling to have something positive to relate to. 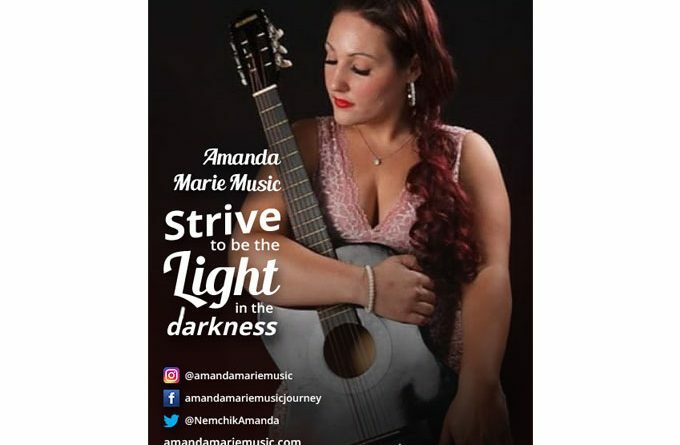 Hence artists today have the challenge of making music that reflects on personal issues, and Amanda Marie seems be a positive role model with this song. Anytime an artist uses their craft to change the focus from negative to positive, they’re making a difference. Even if the message only reaches one person, one person has the power to make great change. And that is what Amanda Marie achieves with “They Say Life”.